In 1945 Hartzell developed the world’s first composite propeller blade using a fabric-based plastic material, which was dubbed Hartzite. Hartzite is weather proof through and through, minor damages were not serious. Hartzite, a proprietary composite material, had the highest fatigue strength-weight ratio and the highest vibration-damping qualities of any propeller developed in this time. Hartzite was used in the construction of propeller blades for Hartzell’s first ground adjustable propellers, for post – war, light planes. The adjustable pitch prop was useful for gaining performance. Quick take-off, Economical Cruising, Maximum Cruising Range and Increased Speed. With the adjustable propeller you were able to compensate for changing factors such as engine performance. This blade construction was patented in 1949 and was used on the Republic Seabee. Hartzell reintroduced composite blades in 1978, this time using Kevlar®, an advanced aramid fiber system for the CASA 212. Since that time Hartzell has been in continuous production of composite blades for various applications. Hartzell made 2, 3 and 4-blade wood propellers from walnut, oak, ash, maple, and spruce between 1917 and 1964. 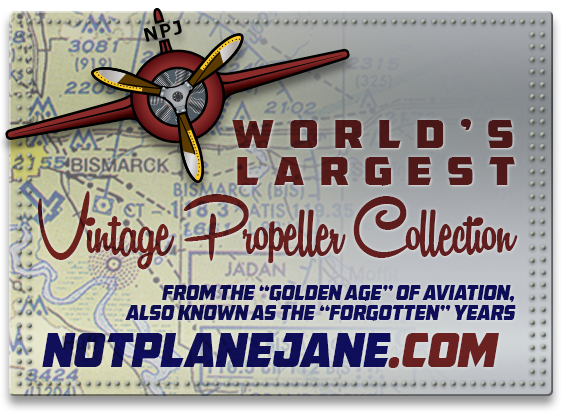 While major production of wood propellers ended in 1946, Hartzell continued to produce a few wood propellers for large engine test clubs and service requirements until their wood propeller type certificates were sold to Sensenich in 1964. In 1956 the Army solicited proposals for a light aerial utility vehicle that would, it was hoped, combine the versatility and ease of operation of the ubiquitous Jeep with the ability to overfly particularly hazardous or difficult terrain. Army planners envisaged a simple and robust craft capable of both hovering and low-altitude forward flight at moderate speeds, with the ability to carry a 450kg payload for several hours at a "cruising altitude" of between 1.5 and 4m. Several firms submitted design proposals, and in early 1957 contracts for prototype development were awarded to Chrysler, Curtiss-Wright, and Piasecki. Chrysler's entry in the "Flying Jeep" competition was a single-place craft that used one 500hp reciprocating engine to drive two dueled propellers. The engine was located in the center of the rectangular-shaped vehicle, next to the off-setpilot's position, with one dueled fan forward and one aft. Rubber skirts around the outside of the vehicle's bottom edge helped sustain the fan-generated lift, while forward propulsion resulted from lowering the craft's nose and using duct-mounted vanes to deflect some of the propellers' slipstream to the rear. The Army took delivery of two Chrysler VZ-6 prototypes (serials 58-5506 and 58--5507) in late 1958, and tethered flight-testing began in early 1959. At a gross weight of some 1080kg the VZ-6 was overweight and underpowered, and both examples additionally suffered from severe lateral stability problems. Indeed, during the course of the first non-tethered "flight" the first prototype flipped completely over. The pilot escaped without serious injury but the craft itself was damaged beyond economical repair. Rather than subsidize further costly design modifications the Army chose to terminate the VZ-6's development, and both prototypes were disposed of in 1960. While the Army was pursuing the flying platforms, they were also investigating larger rotorcraft along similar lines, called the "flying jeeps". Some sources imply that they were intended mostly for hovercraft operation, with an ability to fly over obstacles or impassable terrain when necessary, while other sources indicate they were regarded as helicopter-like utility vehicles that operated normally as flying machines.